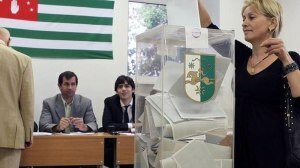 Elections for the fourth President of the partially recognized Republic of Abkhazia will be held on August 24th. Four candidates are running for the presidential office – all of them former security officials: former head of the KGB of Abkhazia, also former defense minister, ex-prime minister and ex-vice-president MP Raul Khadjimba, taking chances for a fourth time, ex-minister of Internal Affairs Leonid Dzyapshba, acting head of the Security Service Aslan Bjania and acting Defense Minister Mirab Kishmariya. There could have been a fifth candidate, but Beslan Eshbe did not pass the knowledge test of the Abkhaz language, and as a result the Central Electoral Commission signalled the red light. The front-runner of the election campaign is Raul Khadjimba. And this is probably not a surprise. A political heavyweight, the hero of the Georgian-Abkhazian war, he was the favourite to become President in the eyes of the legendary first president of Abkhazia Vladislav Ardzinba. Finally, it was Khadjimba who was the unofficial leader of the opposition which united against President Alexander Ankvab and started protests in May demanding his resignation. Ankvab after consultation with his supporters and the Moscow representative, President Putin’s aide Vladislav Surkov who came to Sukhumi during the confrontation, announced his early resignation from the presidency on June 1. 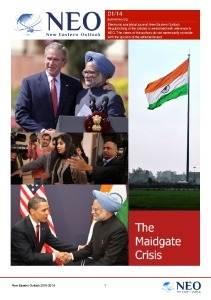 Until recently, the chances of the other three candidates for the post of Presidency were considered to be equal and without any prospects for victory. However, recent polls have shown Aslan Bjania take the lead, breaking away from Dzyapshba and Kishmariya; polls have also shown a decline in ratings for Khadjimba. According to Sukhumi political analyst Inal Khashig in his interview to New Eastern Outlook: “it seems that there will definitely be a second round”. The main distinguishing feature of the current election campaign is total calmness. During discussions, the candidates do sometimes accuse and rebuke each other. However, all this is done solely to entertain the audience in order to increase their electoral base. Or, in other words, the rivals are not defaming each other. The biggest scandal in the country has already taken place: the disenfranchising of some 22 thousand Georgians in the Gali and Tkvarcheli districts. The former Abkhazian authorities provided them with passports of citizens of the republic, while they already held Georgian citizenship. Under the legislation of Abkhazia, this is prohibited; second citizenship can only be Russian. According to Abkhazian political analyst Ibrahim Chkadua the violation of the law was twofold. Firstly, as already mentioned, second citizenship can only be Russian. And secondly, Abkhazian passports were given out to these people by specially created district commissions, whereas the issue of citizenship is the exclusive prerogative of Abkhazia’s central government. “Thus, the parliament and the executive branch of Abkhazia, by suspending Abkhazian citizenship for this citizen category, have corrected the legislative violation committed by the previous government. No one is depriving these individuals of Abkhazian citizenship. They have been briefly deprived of the right to vote. Firstly, they will receive a residence permit in Abkhazia, and then the authorities in accordance with the law will consider their petitions for citizenship of the Republic with the restoration of rights to the fullest extent,” said Ibrahim Chkadua in his interview to NEO. At any rate, this played into the hands of Raul Khadjimba. Of all the candidates, he is the least popular among the Georgian population of Abkhazia. And it turns out that his rivals have lost votes of about 22 thousand Georgians, who are unlikely to want to see Raul Khadjimba as President. Inal Khashig considers the prevailing situation in Abkhazia Inal Khashig to be calm. “All the candidates have fairly equal opportunities as far as the election campaign is concerned. Unlike previous years, I do not see any overbalance in favour of anyone. Not one candidate is being promoted in the media as was the case in the past. The population’s attitude to the elections remains the same: people are willing to vote for a specific candidate, not really contemplating the candidate’s program. According to the latest polls, Raul Khadjimba is supported by approximately 42% of the voters, and his main rival Aslan Bjania accounts for about 33%. I think this is a normal situation. The elections, in my opinion, will be interesting and this is a good thing, though, they will not be as dramatic as in 2004 when they almost resulted in civil strife” commented Inal Khashig. According to the political analyst, another advantageous difference is the absence of messages from outside of Abkhazia, i.e. 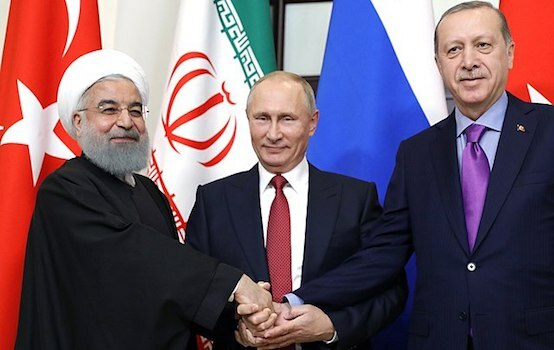 from Russia, Turkey, and even Georgia, which is not reacting at all (not even evaluating candidates’ opportunities) to what is happening in the republic. “It seems that this time, if nothing happens, Abkhazian society without any hints from outside will select the head of the republic, and it will be a purely inner choice of the Abkhazian people,” remarked Hashig. 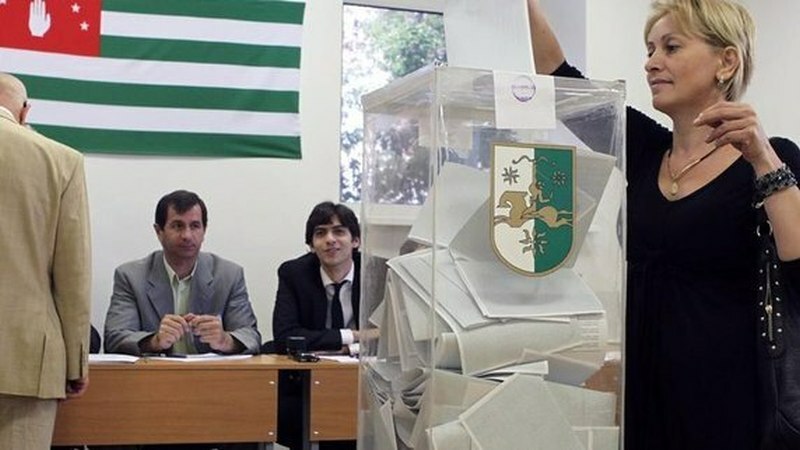 Georgia, although pointedly standing aside from the presidential election in Abkhazia, is closely monitoring what is happening in the breakaway republic. Georgian State Minister for Reconciliation and Civil Equality Paata Zakareishvili told our NEO correspondent: “Despite the fact that the so-called elections being held in Abkhazia do not comply with Georgian and international law, and thus the results of the elections will not be considered legitimate, it is very important for us to know what is happening on the territory of Abkhazia.” “It is important that the process takes place peacefully, without any human rights violations, and that the elections do not develop into any acts of violence, which has happened before. We do not want the people to be the victims of repressive actions, “added Zakareishvili. The State Minister in his interview with the author stressed that “whoever becomes the leader of Abkhazian society, it is important for us to work with them.” “We are not placing emphasis on any candidate. We are not talking about selective cooperation as in: we will cooperate only with this candidate, and if the other one wins, we will not try to patch up relations. We will cooperate with a leader who can and will speak on behalf of the population of Abkhazia,” said Zakareishvili.